Taxes are challenging enough without searching for documentation on tax deductions. During the year, documents are easily misplaced or destroyed without an organizational system. Entrepreneurs need effective tracking methods for making quarterly tax payments and budgeting. By spending small chunks of time tracking your deductions throughout the year, you can eliminate wasted time during tax season and ensure that your taxes are complete before the April 15 deadline. Make a list of tax deductions that you have or could take. Inventorying your potential deductions will help you to judge the size and complexity of the tracking system that you will need to create. Review your past tax filings for deductions that you have taken in the past. Also, think of potential life changes that may add new deductions, such as starting a small business, buying a home or having a child. List documents that you will need to obtain throughout the year. Once you’ve completed your list of deductions, go back through the items and detail the proper documentation needed for each. For example, you will receive a 1098-E for paying student loan interest, a 1098 for interest on a mortgage and periodic tax bills or bank escrow statement for property tax payments made. Make sure to note or approximate the number of documents involved for each deduction. Review the list and develop a structure to account for your needs and the complexity of the documentation. Avoid over-complicating your system. 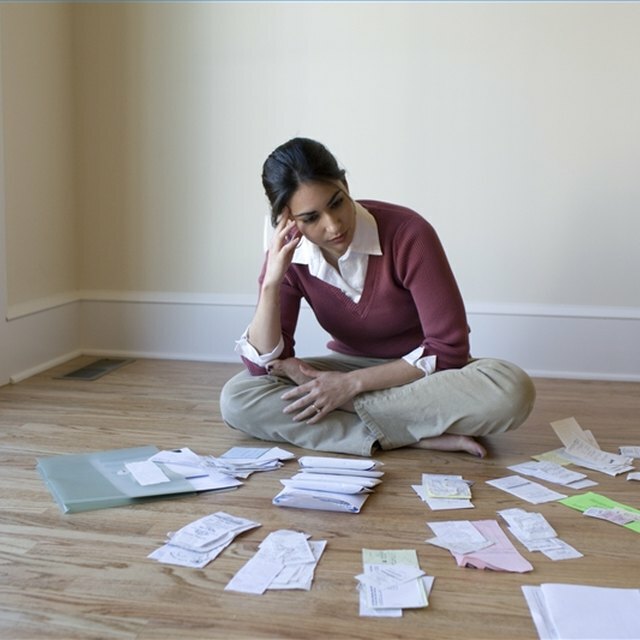 If you have a small number of deductions each year, simply keep a folder, drawer or spreadsheet. Large volumes of deduction documents will need a filing system or database. The focus of the system should be to achieve your tracking goal. For example, tracking totals for tax-reporting purposes or maintaining a filing system for documentation. How Long Should You Keep Health Insurance Records? Tailor your system to function in a way that works best for you. It is easier to maintain a good personal habit if the practice suits your personality. For example, if you are electronically inclined, try scanning documents onto your computer or using a spreadsheet. Tracking is useless if it is not used. Pick a time period to work on your tracking that is consistent. If you have a lot of documentation, try scheduling an hour every week. Periodically returning to your tracking will ensure that the system you created is being used. Even if you don’t have any changes or any records to record, you should still take the time to follow your routine. Retain your records and update your tracking system as needed. Tax documentation should be kept for at least six years. Make sure your tracking system can account for this. Also, update your tracking as your needs change. Don't get discouraged if your first system doesn't work out for you. Keep trying until you find a method that does.